Find the right exercise for you! So it’s getting closer to the end of January and has there been any progress in my goals? Hmm well the healthy eating has improved. I haven’t yet managed to try out the 5.2, ok that’s I lie I did try it but found it quite difficult. 500 calories for a whole day, I have at least 300 in my porridge and that’s only for breakfast, never mind my constant snacking for granola and fruit, I’ve already gone over 500 before it hits 11a.m. So with the lack of willpower for the 5.2 I’ve been using an app on my phone called My Fitness Pal. It’s a great way to keep track of what you’re eating every day and allows you to see how long it will take for you to reach your goal weight taking in the amount you eat on a particular day. To begin you register and type in your current weight and then the weight you want to be. The app calculates how many calories you can consume each day in order to reach that weight in a particular time. Say for example you wanted to lose 7 pounds in two weeks it would calculate that you probably need to eat 350 calories a day so it’s important to be sensible in trying to achieve your target weight. I have given myself 6 weeks to lose 7 pounds which means I am allowed 1,200 calories per day. The first week went really well, however there have been some days where I have clearly gone over, Rum Kitchen, accounting for one and other nights out that involved alcohol. I must admit it has been hard because I simply love food and going out however the real factor for why I haven’t lost any weight is because I’m not eating three substantial meals rather I pick quite a lot throughout the day. Therefore from this week I am going to aim to have three substantial healthy meals per day and try not to pick at other things, especially granola, at certain times, usually when I’m bored or craving something sweet. On the other hand, I have been exercising more, in fact I ordered some snazzy pair of crazy bright pink Nike trainers online the other day that magically fit and last Thursday I went to my first Ravercise class. If you haven’t tried this, it’s a must! A high intensity workout accompanied by a live DJ, Ravercise takes place every Monday and Thursday night on the second floor of Mother Bar in Shoreditch. My friend Leah saw an offer for two ravercise classes for £10 on living social and bought them straight away. We had been looking to get involved in a fun exercise class for the New Year that wasn’t too expensive so this worked out perfectly. Without the living social deal the classes are normally £11 so it’s definitely worth looking out for the offers. The moves aren’t too hard to follow, it’s mainly a lot of jumping around with moves like running man and punching which definitely get your heart beat racing. The highlight for me was when Joe, the dance instructor shouted out at the end, “Get ready for the freestyle” and suddenly a smoke machine went into full blast hazing up the room and one of the djs picked up the microphone and started MCing. It was brilliant; everyone was just going a bit mental and pulling all sorts of moves out for show! The one downfall about the place, not the class, high ratings for the class, rather we decided to go for a diet coke (keeping in with the ‘healthy’ theme) and were absolutely shocked to be given a can of diet coke in a plastic cup for £2.20! 2.20?! I think I might just pop to Sainsbury’s next time. Other than Ravercise, I’ve got back into going zumba a bit. The best Zumba class I have ever come across is Latin Soul Academy. The music is amazing, there are three main dance teachers but on a Saturday it is normally run by Freddie who is an incredible dancer and super fun. He encourages all the 50 women in the big hall at Compton School to shake their butts like crazy and sing along to the songs. Whenever I go to his classes, I am always smiling because although quite tough at times, his classes are more fun than hard work and I love seeing so many women all together just busting their moves and having some time to themselves on a Saturday morning. 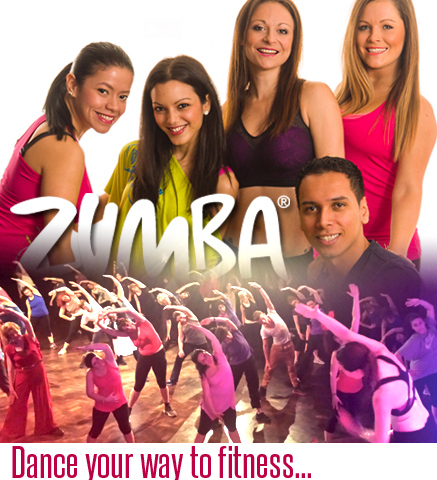 Zumba Fitness run several classes throughout the week and in two weeks’ time are doing a 3 hours dance extravaganza which will definitely work up a sweat. So despite not losing the weight, yet, I have not giving up hope. My main focus is to feel fit and healthy and I think I’m on a good road towards that. With regards to reading, I’ve been getting inspired by other blogs, particular food ones, I especially like Ren Behan’s blog who has had several recipes published in magazines such as BBC Good Food and Delicious and I’ve also downloaded a couple of books on my kindle which I will make sure I read. So despite last Monday being pinpointed Blue Monday and the most depressing day of the year, it really doesn’t have to be. Tomorrow is another day and a brand new day to start get inspired with exciting things. I’ve got pizza on the agenda for dinner tonight and a few drinks to follow, might not exactly tie in with healthy eating plans but as I said one day off won’t hurt, just get back on track tomorrow.